I saw Bob on this tour at the Baltimore Civic Center, I had just gotten home from the service in Japan. Had crappy seats , third tier opposite end from the stage. I had listened to Street Legal about a thousand times while on Midnight watches. My first Dylan concert was in Sydney Australia, April 1978. I was a big fan before and bigger after the show. Despite all the critics of the 78 concerts I love them. These shows reek of creative development for me. I adore the saxophone and the backing singers. The 1978 saxophone versions of tangled are for me a high point for the song. The description of this as a gem is accurate yet underrating of this performance of COTG. 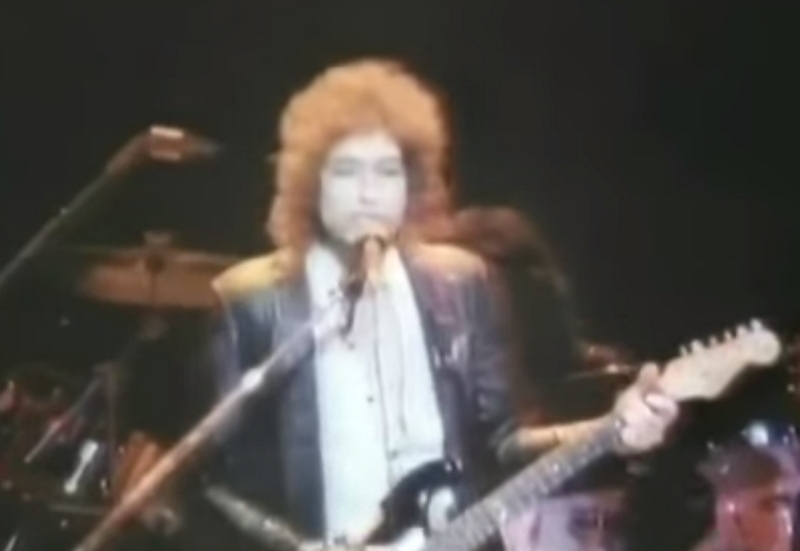 An often neglected classic which Bob has nor really done enough with in concert. This however is live music at its best! I saw Dylan for the very first time on the next night (December 3) in Birmingham, Alabama. At that point in my life, I admit that I was just a casual fan. I left at the end of the show, but couldn’t really make much sense of it. All these years later, I can appreciate the shows for what they were and I better understand perhaps what Bob was doing. Glad to have been there–thanks for taking me back to another time and place. From the calm of the early shows in Japan, through the majesty of the European shows in the middle of the year, to the increasingly desperate shows in USA at the end of the year, the 1978 is a real tour-de-force ! Love it !